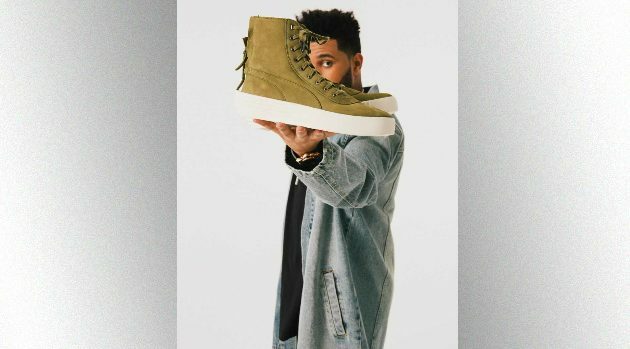 Derek Wood for Footwear NewsPuma celebrity ambassador The Weeknd is taking a break before the second phase of his Starboy: Legend of the Fall tour to promote the brand’s new Parallel sneaker, which he helped design. Weeknd says he’s been working with Puma to create the shoes for “almost a year,” but “immediately fell in love” with the Parallel design once he was able to hold them in his hands. As for the possibility that critics won’t like his designs, The Weeknd insists that he’s more than ready for whatever hate may come his way. “Any kind of criticism would ruin my day, but through the years, I’ve learned to accept it and know the difference between constructive criticism, hate and just plain trolling,” he explains. You can get your hands on a pair of The Weeknd’s Parallel Puma kicks starting August 24.